Haley Kershner Selected to All Tourney Team in Sterling! Shout out to Haley Kershner(Hononegah High) for being selected to the All Tourney Team in Sterling this past week. Haley averaged about 13pts ppg and averaged about 6 rebounds per game! Keep up the hard work! 2015-PG Brandi Fier Selected to All Tourney Team! Shout out to Brandi Fier(Hononegah High) for being selected to the All Tourney Team in Sterling this past week. Brandi averaged about 12pts ppg and averaged about 6 assists per game! Keep up the hard work! Brandi is still undecided for college, if any college coaches would like more information please contact me! 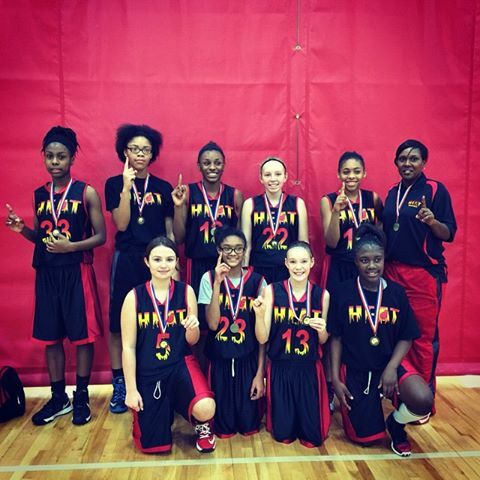 Heat 7th Grade Girls Win Tournament! Shout out to the 7th grade girls for taking 1st place in the Lake Effect Sno Down in Chicago today! Keep up the hard work ladies! Great Story about the Rockford Heat Basketball Club! I am so proud of all the athletes that have come through the program, sports is tough and basketball is one of the toughest. I am amazed every time I see a player push themselves outside of their comfort zone and continue to aspire to become better. There are so many stories I could tell you about ladies at the gym at 5am, players missing events because they have practice or a game, players usually sacrificing friendships because of extra time being spent on this game. These last two years of Varsity teams have prime examples of this. There is a saying in life that says "if it was easy-everyone would be doing it", well believe me, not everyone is doing basketball to this level of commitment! The list of players that have gone on to college is impressive, however the legacy that has been achieved is nostalgic. None of this would be possible without all the individuals that have stepped up with their support, time, and talents. We have had several coaches step up to the challenge and rise to the call in an effort to help young ladies succeed. usually sacrificing friendships because of extra time being spent on this game. These last two years of Varsity teams have prime examples of this. There is a saying in life that says "if it was easy-everyone would be doing it", well believe me, not everyone is doing basketball to this level of commitment! The list of players that have gone on to college is impressive, however the legacy that has been achieved is nostalgic. None of this would be possible without all the individuals that have stepped up with their support, time, and talents. We have had several coaches step up to the challenge and rise to the call in an effort to help young ladies succeed. I can’t thank everyone enough for all the support that many have given! Ladies, if you are ready to rise to the challenge and aspire to be the next player that signs or the next player that gets a phone call from a college coach, then remember what the athletes ahead of you have done to get to that level! It’s not easy, but you can do it! I won’t list everyone that has helped along the way, but I must thank my good friend Darrin Golden for seeing this become reality and giving the support needed when times got tough. Our wives are just as important in this whole story as well! This has turned into an amazing story! In closing, feel free to share this, tag people, comment, or forward to others! This is great for our youth and the ladies of Rockford Heat Varsity teams have literally put the 815 on the map. There is still good news to come, be on the lookout for more signing and commitments from some more Heat seniors soon! I cant thank everyone enough for all the support that many have given! Ladies, if you are ready to rise to the challenge and aspire to be the next player that signs or the next player that gets a phone call from a college coach, then remember what the athletes ahead of you have done to get to that level! Its not easy, but you can do it! I wont list everyone that has helped along the way, but I must thank my good friend Darrin Golden for seeing this become reality and giving the support needed when times got tough. Our wives are just as important in this whole story as well! This has turned into an amazing story! In closing, feel free to share this, tag people, comment, or forward to others! This is great for our youth and the ladies of Rockford Heat Varsity teams have literally put the 815 on the map. There is still good news to come, be on the look out for more signing and commitments from some more Heat seniors soon! Two Rockford Heat Players Hit Their 1000th Point! Shout out to Linzy Keller(Christian Life) and Cynthia Santiago(Belvidere) for knocking down their 1000th point last night! Both Seniors are still keeping their options open for college! Keep up the hard work ladies! Kayla Steward Selected to All Tourney Team! Shout out to Kayla Steward(Boylan Catholic High) for being selected to the All Tourney Team in Schaumburg this past weekend! The tourney was held at the Schaumburg HS Lady Saxon Invite! Keep up the hard work! Signing Date For Emily Gorsch Released! 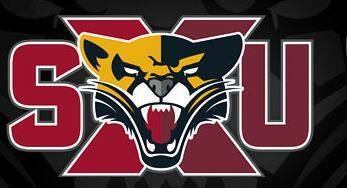 Emily Gorsch will be signing her “Letter of Intent” to accept an academic and athletic scholarship to play basketball for St. Xavier University on December 4th, 4pm at Hononegah High School! All are welcome and invited to attend! Congratulations! Keep up the hard work!